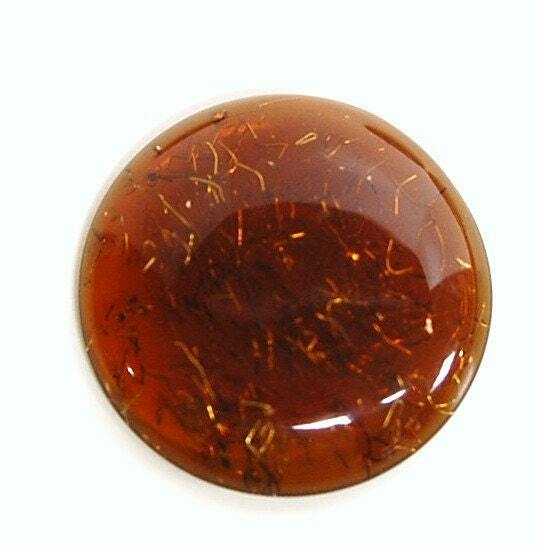 This is a vintage lucite cabochon. 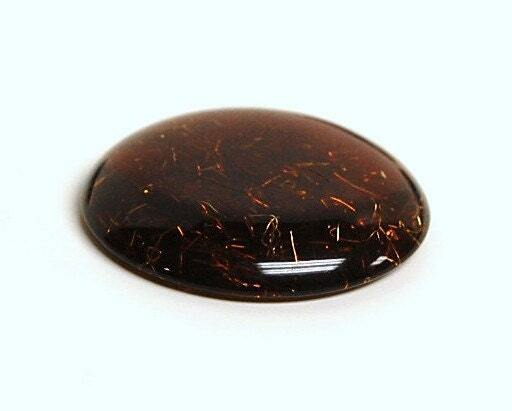 It is brown in color. There are pieces of confetti or glitter floating within. This measures 34mm. You will receive 1 piece. I have this in different sizes and a blue green color too.